Academicians are famous for not making politically correct statements. Reserve Bank of India Governor Raghuram Rajan is no exception," economist Abhirup Sarkar, below, left, told Indrani Roy/Rediff.com in Kolkata on Monday evening. Sarkar, professor of economics at the Indian Statistical Institute, Kolkata, was discussing Rajan's recent decision to not continue in office for a second term. According to Sarkar, image, below, while Rajan's exit will have a great impact on the economy, it will be really difficult to find a replacement for him. "People of Rajan's stature normally don't return to India. But he was an idealist who wanted to serve his country," Sarkar added. "It's unfortunate that he is stepping down." What will be the impact of Rajan's decision on the economy? Rajan is a highly skilled and capable person who has been doing the Indian economy a world of good. He is a wise economic administrator with unquestionable credentials. It is very hard to replace him. 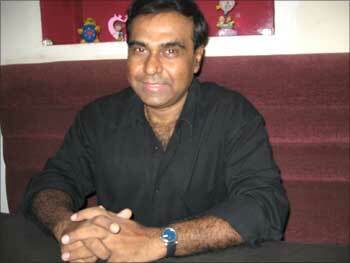 He has a profound understanding of the Indian money market. These qualities one cannot expect to find in a bureaucrat or in an ordinary economist. He has been successful in restraining the price rise. Therefore, Rajan's departure is sure to have a serious impact. But many experts thought that Rajan did not cut the interest rates as much as he should have. 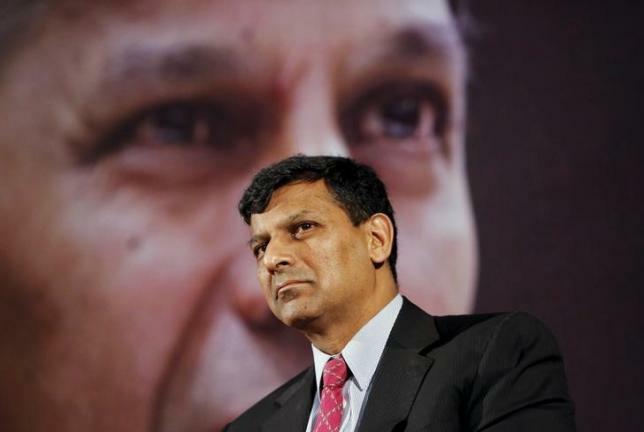 Rajan knows that reduction in the rate of interest does not necessarily lead to a rise in the level of investment. There has always been tremendous pressure, mainly from the corporates, on him to cut interest rates; argument in favour being a cut in rates will fetch more investment. This is a textbook approach to the issue, I would say. In any under-graduate text books, you would find that investment depends primarily on the rate of investment. That is not true in general. Investment depends on investors' expectations from the markets. These days, interest rates are changing real fast and investments depend upon expectations for the future markets to a great extent. Now, why do corporates seek a cut in rates? It is because reduction in rates of interest has a direct bearing on their profits. Corporates take loans from banks for their working capital. If the cost of working capital goes down, profits go up. Therefore, a rate cut doesn't always coincide with the interest of the economy or that of the common people. Rajan was very quick to understand this. So he resisted too many cuts as that would have led to increased inflation. Rajan's exit will be a big loss for us. Why were some people so irked with him? (Smiles) Academicians are known for not making politically correct statements. They make statements that are way too correct. These statements often rub some people, especially politicians, the wrong way. In his case too, he made some comments that made some very important people very unhappy. Do you think Rajan's hard stance on banks' non-performing assets made him unpopular? That could be a distinct possibility. Perhaps it's they who don't want the government to come up with new policies that might reveal their identity. At times, the bankers too are involved in this mess and they too apprehend any major change in banking policy. Do you think Rajan's decision is good for him? People of Rajan's stature usually don't come back to India. He was doing extremely well in the US. Way back in 1993-94, I had met Rajan in a US university where he had come to deliver a lecture. And I found in him an idealist who wanted to serve his country. The fact that he is leaving indicates that he has reached his limit. If things were not this bad, he would definitely have continued or so I feel. Why do you think Prime Minister Narendra Modi did not stand by Rajan? People were expecting him to support the RBI governor. Is it because this government wants 'yes men' in every organisation? Politicians in general like people who don't oppose them. In academia, we are used to debates and arguments but politicians are birds of a different feather. Rajan did not need to be anybody's yes man. He came to India to work, to do something good. He had no political ambition. He was not here to contest elections, right? Who do you think will be the best replacement for Rajan? I can't drop any name at this stage. But as far as I understand, the new RBI governor should not only be a banker, he or she has to have a deep understanding of the economy. Monetary policy has a huge effect on the economy and it has to be dealt with firmly and efficiently. Apart from knowing the rules of monetary policy, the new governor needs to take some concrete steps that would stabilise the Indian economy set against the global backdrop. What, according to you, will be the challenges before the new RBI governor? First, inflation needs to be controlled and reduced further if possible. Growth should not get affected. More importantly, measures have to be undertaken to increase the rate of growth. Carefully measures reforms have to be undertaken. Steps must be adopted so that investors have a better perspective of the future and they feel motivated to put their hard earned money into the markets. Only then, can the Indian economy take a confident stride towards the future. Top image: RBI Governor Raghuram Rajan. Photograph: Reuters; Abhirup Sarkar's image: Kind courtesy, Indian Statistical Institute.